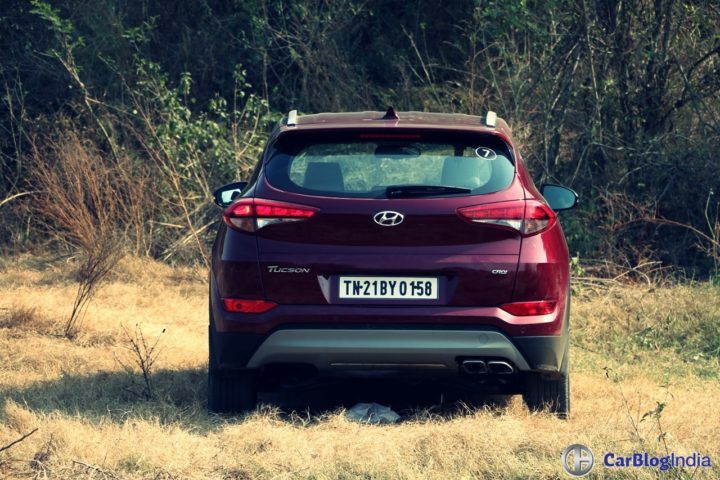 New Hyundai Tucson Test Drive Review – Pragmatic and Flamboyant! Hyundai’s third new SUV for its Indian portfolio, the new Tucson, finds itself comfortably slotted between the Creta and the Santa Fe. In its third generation now, the new Hyundai Tucson boasts a bold exterior design that makes it among the most stylish cars in its price range. It also offers two 2.0-litre engine variants- a Petrol and a Diesel. The new Tucson, akin to its cousins, also offers some best-in-segment features and a comfortable cabin. There’s really a lot that the new Tucson offers. Here’s our new Hyundai Tucson test drive review to take you thru all the highlights of this stylish new SUV. Read on! The new Tucson’s design follows the carmaker’s Fluidic Sculpture 2.0 design language. This results into a very sleek, sophisticated exterior that also looks sufficiently rugged to validate the SUV credentials. Highlights of the new Tucson’s front-end include chic LED headlamps, which are inter-connected by a bold chrome-plated hexagonal grille. Other details include a faux skid plate and stylish LED DRLs. The neatly sculpted bumper features a wing-shaped horizontal bar that emphasizes the car’s wide track. 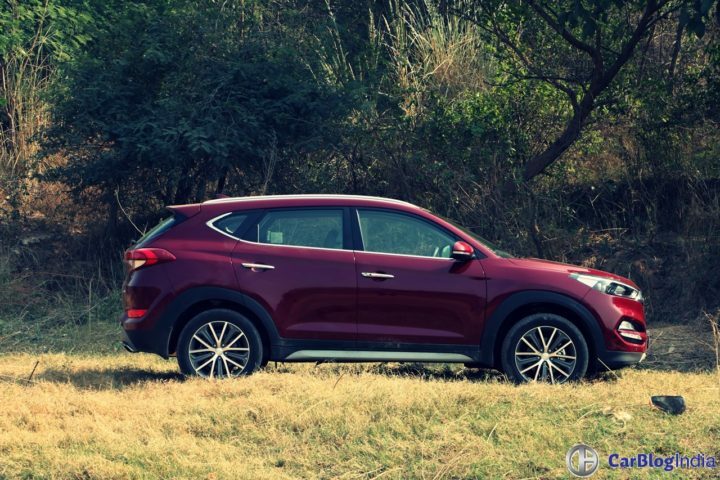 The Tucson’s long hood can be easily made out by just glancing at the side profile. Hyundai claims it has optimized the angle between the A-pillars and the bonnet to make the car more aerodynamic. For the record, the new Tucson has a Coefficient of Drag of 0.33. The wheel arches have a unique directional shape, which contributes to the Tucson’s dynamic look. Also helping the car look more dynamic are the ‘Z’ character-lines above the rear wheel arches. The rear of the new Tucson looks as sleek and modern as the front. The two-piece taillamps and the reflectors run till the edges to accentuate the car’s width. The faux skid plate and the twin exhaust tip add a sporty touch. The new Tucson offers a spacious, well designed interior. The space on offer, the quality of materials, the attention to detail – all of it is top notch! However, the interior surely isn’t as flashy as the exterior. The two-part dashboard has a neat layout. Taking centre stage here is an eight-inch touchscreen interface for the infotainment system. 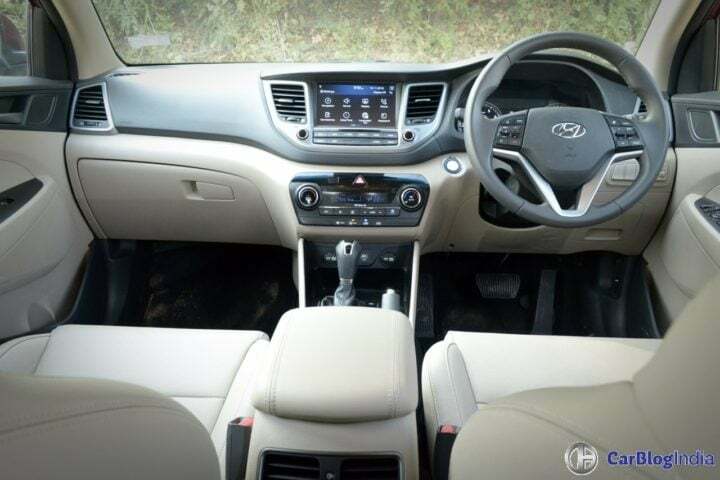 For India, the Tucson gets a black-beige interior color theme, which does help with making the cabin look a tad more premium. The new soft-touch, high quality materials and clean surfaces together create a refined interior ambiance. Hyundai insists the new Tucson’s cabin has been put thru extensive ergonomic testing to ensure a pleasurable experience. There are chances that the upcoming 4×4 variant will get even more features! As aforementioned, the new Tucson gets two 2.0-litre engines – a petrol and a Diesel. The petrol engine comes from the new Elantra, but has been re-tuned to produce slightly more power for the Tucson. The Diesel engine, however, is an all-new unit. While the Diesel engine outputs 185 PS-400 Nm, the Petrol engine churns out 155 PS-192 Nm. Both the engines come mated to 6-speed Manual and Automatic transmissions. Also, both the engine variants offer ‘ECO’ and ‘SPORT’ driving modes to optimize the engine and suspension performance to suit the driving conditions. The Diesel engine can easily offer up to 11 KMPL under normal driving conditions, while the Petrol motor should return up to 9-10 KMPL. We’ve always loved the oil-burners from Hyundai for their punchy nature and refinement. The new Tucson’s Diesel heart, too, offers a power-packed performance with as much as 185 PS and 400 torques. Power delivery is pretty linear and boy does this engine love to rev! We drove the top-of-the-line Auto variant, which comes with a 6-speed torque converter automatic transmission. 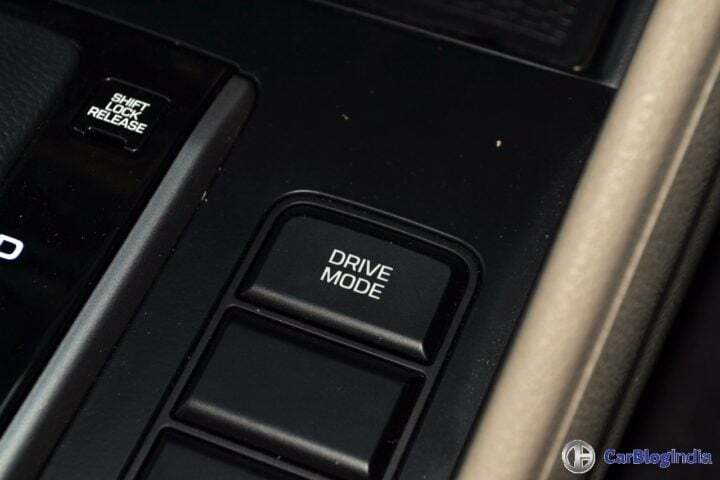 Quite obviously, this auto ‘box is nowhere as quick as its dual clutch counterparts, but on most occasions, you won’t mind the few extra fractions of a second this gearbox takes to shift gears. The only real grouse we found is that the engine sounds a bit gruff at lower revs, but we’re nitpicking here, really. While the Diesel engine impressed us with its enthusiasm, the Petrol engine’s performance felt a bit lacklustre in comparison. With 155 PS on the tap, the petrol-powered Tucson never really feels under-powered, but this car doesn’t feel as sprightly as its Diesel sibling. Also, NVH levels are a bit on the higher side. Most Hyundais we’ve driven have impressed us with their ride quality and the new Tucson is no different in this aspect. 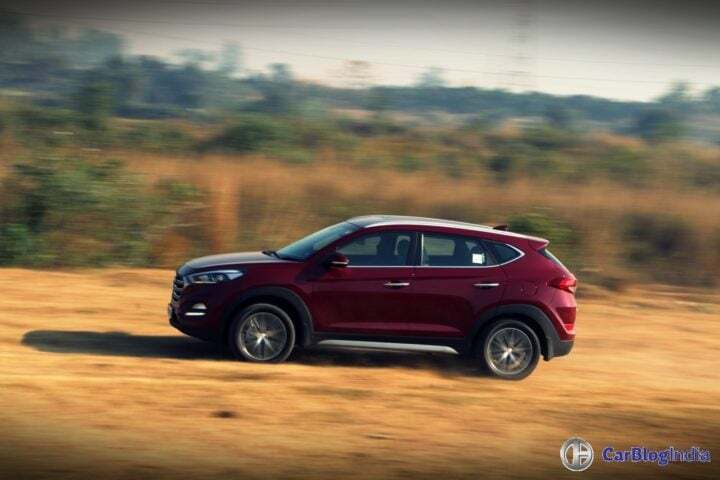 The Tucson tackles most of the speed humps and undulations with ease and offers exceptionally matured ride quality. 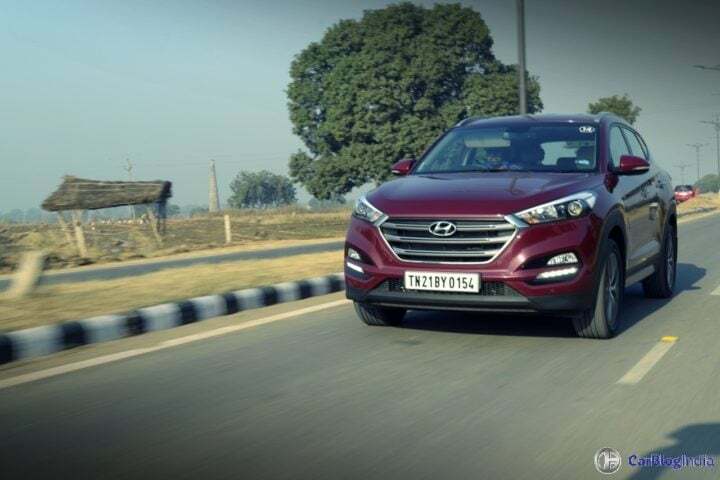 It’s only over really sharp irregularities that the ride gets slightly firm, but the Tucson offers an almost magic carpet-like ride over most surfaces. We drove the Tucson thru some fast corners and on some winding roads. Thankfully, the steering isn’t ‘feather-light’ and has some weight induced into it. However, being an EPS unit, it doesn’t offer much in terms of feedback. Body roll is well contained though, which means you can push the Tucson hard into the corners. Overall, the new Tucson offers a great ride quality and decent handling manners, too! The new Hyundai Tucson has a lot going for it. For starters, it looks really good and the the design is likely to look fresh for at least a few years to come. 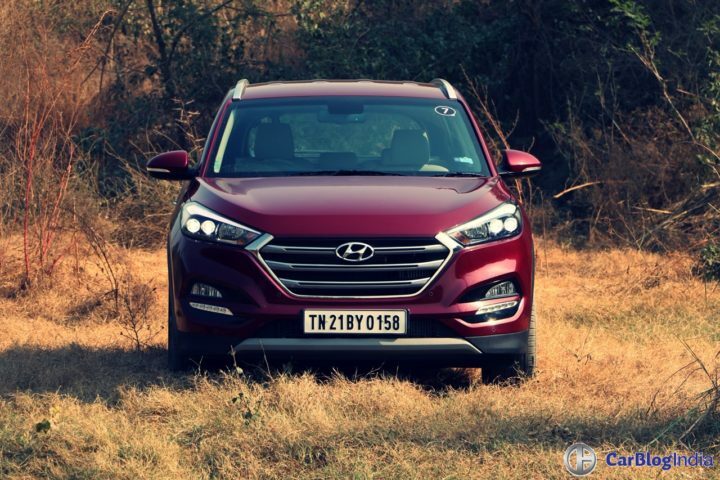 Apart from this, the new Tucson comes with many bells and whistles and offers features that are conspicuous by their absence on even pricier cars. Most importantly, you get a potent Diesel engine, great ride quality and a really spacious cabin. True, performance from the petrol engine leaves a bit more to be desired, but for most reasons, the new Tucson should make a lot of sense to those looking for a modern, comfortable and feature-laden premium crossover for roughly Rs. 25 Lakh. 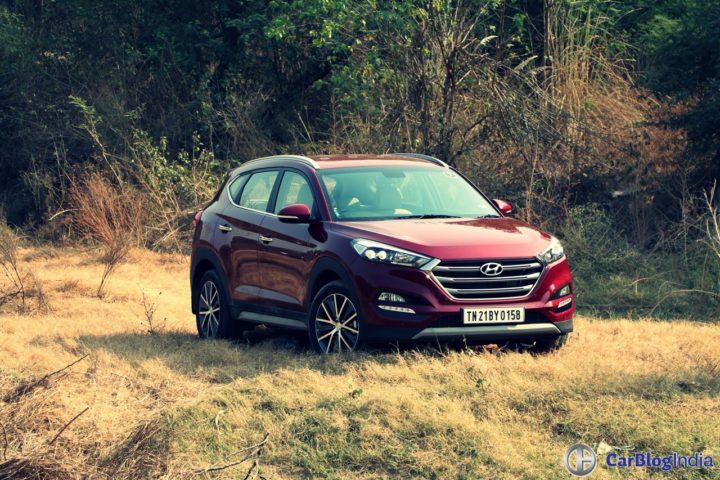 So, what do you say about our New Hyundai Tucson Test Drive Review? Do let us know by sharing your thoughts in the comments section below.